Or at least I will be at some point in the next year, provided I make it to next May 27. No pressure, but if you wanna do something nice you can a) buy me a book or b) buy my book. Some bookish things to report, including the latest re: Reggaeton — namely, that tomorrow, Wednesday May 27 (which happens to be my born day), I’ll be appearing alongside co-editor Raquel Rivera on WNYC’s Soundcheck. The show airs live at 2pm EST. I believe it’s carried by a number of NPR stations nationally, or can be listened to online. If you’d like to hear something like the /Rupture radio show but a little more NPR-ish this is your best bet. Both the coherence of b-boy culture and its under-the-radar status, Schloss argues, can be attributed to the form’s relative lack of commodification. Graffiti exploded onto the gallery scene in the early ’80s; rap records were selling millions of copies by 1979. B-boying proved more difficult to package. It was a process, not a product, so it escaped back underground, relatively unscathed. Schloss’s approach is quite different, and the result is the best work ever produced on b-boying, and one of the finest books yet to emerge from the swiftly proliferating ranks of hip-hop scholarship. 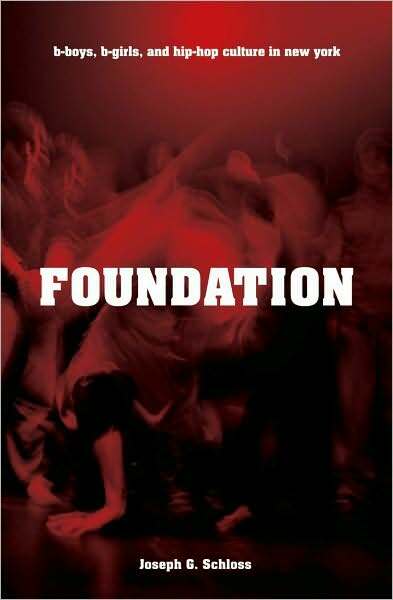 In researching “Foundation,” the author spent five years attending every b-boy event in New York City; not only did he interview the craft’s leading practitioners, he apprenticed himself to them, learning the dance physically, intellectually, and spiritually. Once a cornerstone of all hip-hop expression, the mentor-apprentice relationship is another victim of the culture’s marriage to mass media. Many graffiti writers, for example, claim that the biggest change their art form ever underwent occurred when professional photographers began documenting it; this allowed neophytes to learn style from photos instead of masters. 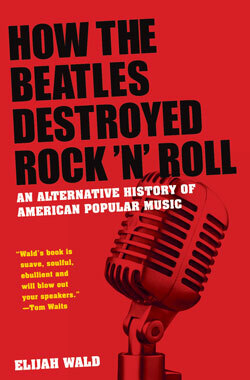 2) Elijah Wald, a true pop-musical polymath, has a new book out (also on Oxford U, as it happens), bearing the provocative title, How the Beatles Destroyed Rock ‘n’ Roll: An Alternative History of American Popular Music. Elijah, who is also a friend and who I’ve had the pleasure of chatting with at several music conferences (much to my edification), offers up a meticulously researched, funny, and sometimes surprising account of the history of US pop from the late 19th into the late 20th century, taking apart a number of myths and filling large lacunae while proposing a rather grand narrative of his own. it began to bother me that virtually all pop music history has been written by roots, jazz and rock fans–people like me–who tend to take pride in our unique tastes and despise mainstream pop. 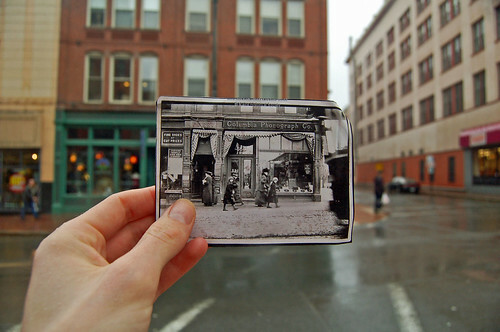 And we tend to write the history of what we like rather than the history of what happened. So this is an attempt to give a clearer picture of how pop music evolved, looking at changing dance styles, technologies, and the lives of working musicians and regular listeners from the dawn of ragtime to the dawn of disco–with some fun stories to back it all up. You can read more about it on Elijah’s site, while streaming some John Philip Sousa or, if you’d prefer, an hour of Top 40 radio from Scottsdale Arizona in the summer of 1964.
even in these days of tightened budgets, respond to readers’ requests. doesn’t have the book, you can suggest that they carry it. So, for obvious reasons, affirming and touching a gesture as it is, I’m a little timid about the campaign to Save Wayne. I’m sorry that the cosmos had other plans for me (yet to be revealed), as I would be happy to stay at Brandeis. I don’t know if anything can come of it, but if you’d care to add your voice to the chorus, I believe the petition is to be submitted soon, so go here, like, now. Have you read it yet? It may be my best piece to date. Just sayin. Why has that happened? Because we say so, hear so, see so, know so. But what I like about Eliot saying this in 1922, more than Bourriard in 2009, is that this essential cultural process long predates mechanical and digital reproduction. It’s the stuff of poets and philosophers, as well as DJs and hackers, walkman-wearing dancers and credit card commercials. It’s just how culture works. 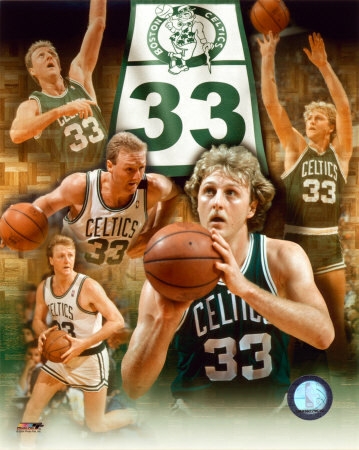 Always has, always will. Can’t stop, won’t. So thanks for the songs & dances, guys; now they’re ours. If you missed me & Raquel on /Rupture’s radio show last Wednesday, you can still hear it here. Update! If the audio is no longer available at WFMU, you can stream it below, but see the link above for tracklist, etc. Thx to all who came to the NYC book launch events! The Hunter College reception was lovely & lively, and I think Que Bajo!? just mighta been the best party I’ve had the pleasure to play. No mentira. It was really great to have a crowd so primed to dance dembow — and cheer for Tego tracks! Hope to post the audio here pronto. Anyone get pics? I didn’t get drunk & lose my phone, but I did run out of batteries. From Panamanians to Playeros to post-DemBoleros, [we]’ll be spinning rarities alongside discussion of the genre’s complex roots and current possibilities. We’ll be continuing that conversation tomorrow (Thurs, May 7) at the Center for Puerto Rican Studies at 6:30 pm in the Faculty Dining Room on the 8th Floor of the West Bldg., Hunter College (68th & Lex). Joining me and Raquel will be two of the stellar contributors to the book, Alexandra Vasquez and Frances Negron Muntaner, as well as the eminent Juan Flores, who wrote the preface and will deliver the main remarks. I’ll offer a muymuy brief tour of reggaeton’s socio-sonic circuitry, and then we’ll mingle to the reggaetony sounds of DJ Mellow G. Should be a blast. Finally, gran thx to alexis for the kind review! To think that our anthology “puts the ‘tra’ in transnational” — well, that just says it better than I ever could.